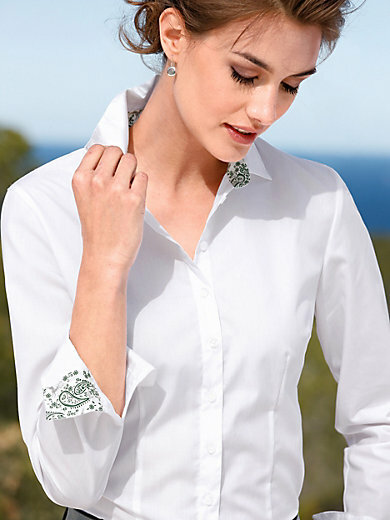 Blouse by Hammerschmid – the classic white shirt-style blouse in exquisite natural fibres. Printed facings on the inside of collar and cuffs set subtle, fashionable overtones. 100% cotton. Length approx. 24ins, curved hem. The blouse is machine washable.